The Safe-T-Belt Working Back Support provides support to the lower back and helps promote proper posture and lifting techniques. It is an ideal choice when shoulder straps are not desired. It is an excellent choice for workers who spend time sitting or need to be unencumbered by shoulder straps. The Safe-T-Belt Working Back Support includes a contoured base that prevents riding up when sitting or bending. The two polypropylene stays provide excellent support and durability. 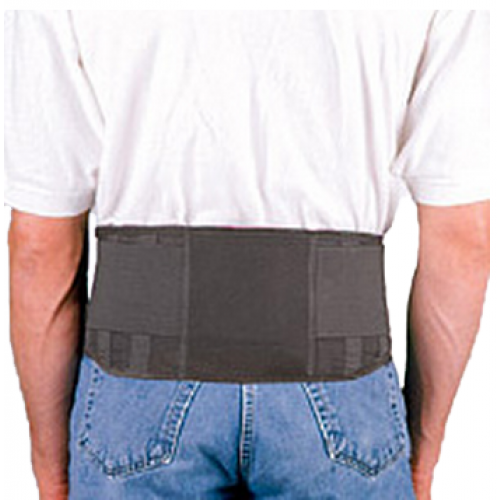 The belt's compression pad provides focused support to the lumbar region, while the overlapping elastic side pulls provide excellent support and freedom of movement.